Today, a large number of funeral services involve the process of cremation, because families find that it fulfills their desire to honor and commemorate their loved one. If you are considering this option, we want you to know that our cremation services are especially designed to enhance and preserve the memorial funeral tradition. In fact, our commitment to families who choose cremation is so strong that we have constructed our own on-site crematory which is operated by Matthew J. Bennett and Charles R. Hite. This allows us to care for your loved one through every stage of the process. It also means you may choose to be involved in the process to the extent that is most comfortable for you. If you do select cremation, you may still have a traditional funeral, and all the comforting, commemorative services that accompany it. Cremated remains may be interred in an urn vault or columbarium niche, and preserved for all time. Some families choose to keep the cremated remains, or scatter them in a location that has special meaning. 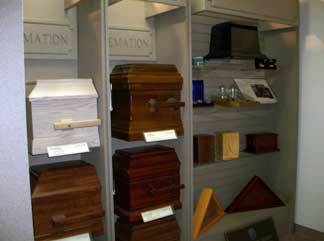 The choice of cremation is very personal for you, and very special for us. We are here to help, so do not hesitate to ask us about the many choices available to you with today's cremation traditions.